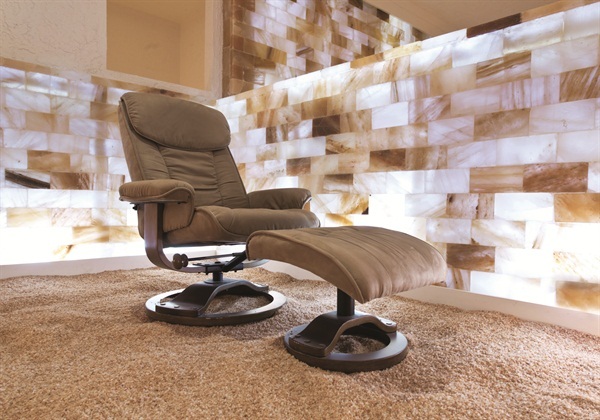 Dry salt therapy is an all-natural treatment aimed at alleviating symptoms of many respiratory and skin conditions. What is it? 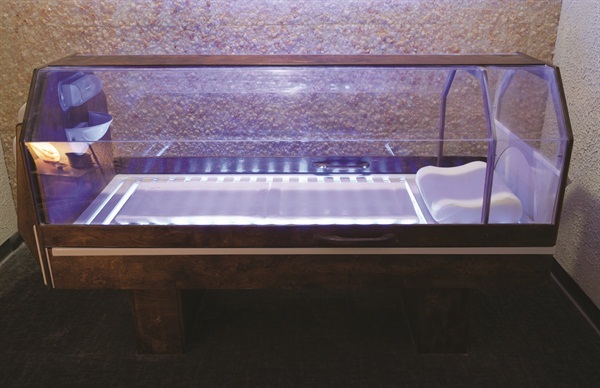 Dry salt therapy is an all-natural treatment aimed at alleviating symptoms of many respiratory and skin conditions. How does it work? The salt is ground into tiny micro particles then dispersed into a salt room or bed. The client need only lie back and breathe deeply. According to its proponents, the inhaled salt helps to reduce inflammation, widen the airways, accelerate mucus transport, soak up toxins and allergens, and strengthen the immune system. The non-inhaled particles landing on the skin help to balance pH and induce healing. What they say about it: “Salt has been used therapeutically for nearly all of human history. The high-salinity Dead Sea was among the first health resorts in the world. Records of the excellent respiratory health of salt miners goes back to the Roman Empire, and salt therapy traces its roots to Dr. Feliks Boczkowski, a physician at a Polish salt mine whose successor set up the first salt therapy spa,” says Ellen Patrick, co-founder of Breathe Easy, which has four locations in New York State.